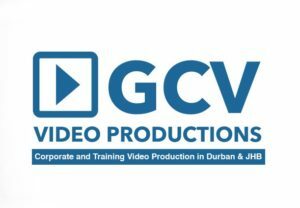 Hi guys, welcome to another blog for video production company, Durban. Whats news…lots. We have been busy with all sorts of productions in and around KZN as well as JHB. I have mentioned it all in the previous blog so please read it there. So for 2019 we want to really make a difference for our clients. Improve, innovate and adapt. Always look and ask yourself what can be done to offer your customers the best possible product. Look at creative skills and gear. Gear is important because video equipment is always improving. Its funny how sound recording has basically stayed the same over the last 10 years but look at video. Video – 2010 – 2019 HDV, HD, 4K, UHD, 8K. Equipment for us over the last 10 years. Sony PD 170. Sony Z5. Sony NX3. Here is a review of the microphone below. Amazing don’t you think…Video has come a long way and audio stays the same. I love my lapel mic, damn trusty microphone that never ever lets me down. Thanks for reading. I hope you have enjoyed it. The next blog will follow soon. If you require more info regarding video please call us at GCV Productions.